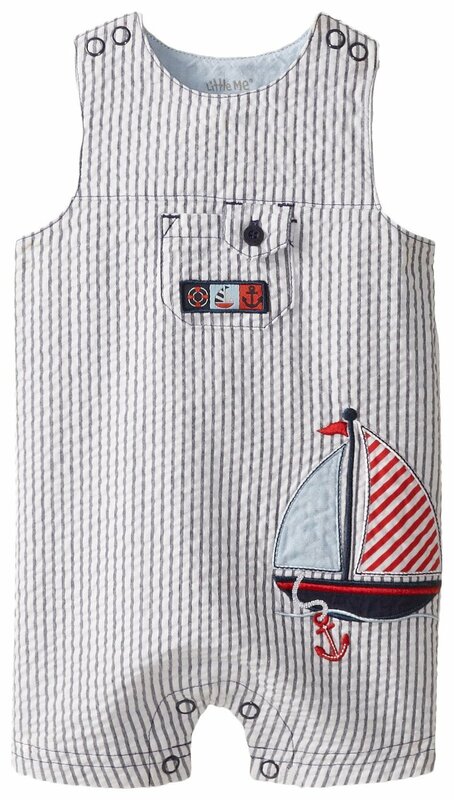 Cute baby boys nautical striped sunsuit in navy and white striped cotton with sailboat applique and both shoulder and inseam snaps. Machine wash. Imported.